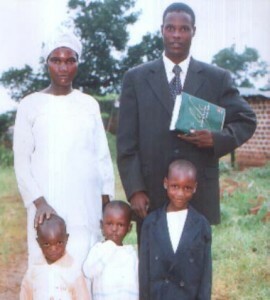 Biography: Kingdom Faith Mission was started in 1996 after Edwin and Kevina had been teaching the Gospel in homes. The church developed as the Lord brought more people into the fellowship. The vision of the ministry is to preach the Gospel in the whole world, preaching to Muslims and witchdoctors and starting projects to help the community and the ministry to advance. The church has cell groups that pray over their community, an active nursery, and children's ministries. The youth in the church assist in evangelism and organizing seminars. Kevina is the children's pastor for the church. Strengths: Edwin and Kevina are gifted organizers and leaders.